Mincemeat pie for the holidays? You bet! Here is a raw version that is SO good, and good for you too! One of the classics at Christmas time is pies. 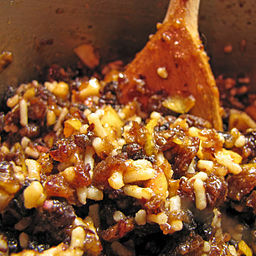 And one of the favorites is mincemeat. There is no reason you can't have this delicious pie but in the healthy RAW way! And you know me...add in a bit of chocolate and the recipe just became heavenly. Melt the cacao butter in a bowl by placing over a pan of simmering water. Chop almonds into small pieces. Soak raisins, apples, and cherries in 2 Tbsp lemon juice. Combine almonds, spices, soaked fruit and any remaining soaking juice, orange peel, lime peel, and carob in a bowl. Mix well. Pour the melted cacao butter and orange juice over the dry ingredients in the bowl and mix well making sure all ingredients are coated with the cacao butter. Divide the mixture into twelve small muffin cases. Refrigerate for 4 hours before enjoying. Want to know the health benefits of this Christmas Mincemeat Pie? Here you go! You can click on the links to get more nutritional information. Almonds-Contain a high amount of vitamin E, making them a heart healthy choice! Raisins-Grapes contain high levels of flavonoids. Flavonoids contain catechins which decrease the risk of heart disease. Raisins have less catechins than grapes but still provide the benefits. Carob and Cacao-A powerful antioxidant, supports the gastrointestinal tract, and compared to chocolate has low fat, low calories and no cholesterol. Ginger-This remarkable healing root is best known for its healing power to sooth the gastrointestinal tract. Cardamom-This spice has many health benefits including it is a antioxidant, antinflammatory, and liver detoxifier. 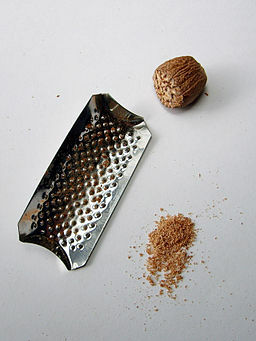 Nutmeg-Nutmeg is a brain stimulant, digestive aid, and liver detoxifier. It has wonderful antinflammatory attributes that provides pain relief. It is dangerous in extremely high doses. Allspice-This spice has unique properties that give it health benefits such as it increases the bodies digestive enzymes, it is a anti-inflammatory, and it is a local anesthetic. So go ahead enjoy the health benefits of this heavenly mincemeat pie!